Its emphasis on “innocent” victims leaves out the people who need it most: low-income communities of color. This article is adapted from Gary Younge’s new book, Another Day in the Death of America. This was the day I had picked at random to put a human face—a child’s face—on gun violence. Black, white, and Latino, over a 24-hour period, these children fell in barrios, suburbs, and rural areas; on stairwells, on street corners, and at sleepovers. All were boys: The youngest was 9 and the oldest was Kenneth, who was the second to be shot and the first to die. I spent 18 months looking for their families, friends, teachers, and coaches—anyone who knew them. By the time I completed the project, two things—beyond the personal stories—became clear. The first was that every black parent I spoke to said that they had assumed this could happen to their son. (Of the 10 children who were killed that day, seven were black, two Latino, and one white; on an average day, five would have been white, four black, and one Latino.) “You wouldn’t really be doing your job as a parent here if you didn’t think it could happen,” one father in Newark told me. His son was shot dead on the evening of November 23. A mother in Dallas whose son was also shot that evening had assumed that her other son would be the one to get killed—but either way, she’d factored it in. In low-income communities of color, death stalks youth with relentless intent. Most of the teenagers I met who were friends of the deceased knew others who’d died; their Facebook pages and Twitter accounts are like online graveyards. Which brings us to the second thing that struck me while talking to these families about the 10 young deaths of November 23: When I posed an open-ended question to the victims’ parents about why they thought these tragedies kept happening, not a single one mentioned guns. When I asked a more leading question about what they specifically thought of guns, they would always be more forthcoming. Almost all of them saw the ubiquity of guns as a problem. But it did not necessarily follow that they saw getting rid of guns as a viable solution. To dwell on the innocence of “babes” and “angels” suggests there are less angelic, more deserving victims. When the National Rifle Association held its annual convention in Charlotte, North Carolina, in 2010, Judy Williams protested. When somebody gets shot dead in Charlotte, Williams knows about it. The organization she runs, Mothers of Murdered Offspring, has arranged vigils for murder victims for more than two decades. When MOMO started, the police would contact the group and let it know when a shooting had occurred. Now MOMO is such an institution in the city that the victims’ families usually go straight to them. Having identified the problem, but without being able to envision any political remedy, Williams grudgingly understands the ubiquitous presence of guns as a banal fact of death in this country. 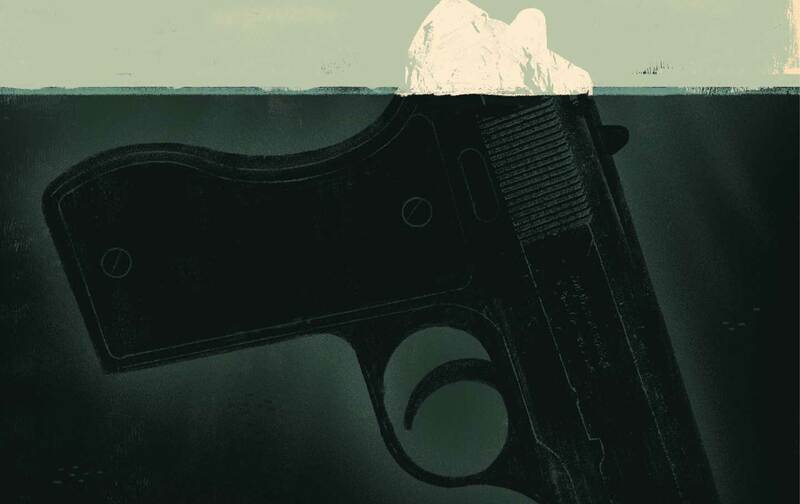 Herein lies the central challenge for the national gun-control movement: It has rallied many good people who are doing good work, but it has failed to connect with the communities most keenly affected by gun violence. Indeed, the people who need it most—low-income communities of color—are the very ones we hear from least. Segregation is a serious barrier to empathy. So when poor black and brown people are shot dead in areas deprived of resources, the media, the police, and a sizable portion of the political class are confirmed in their view that these are dysfunctional places where dysfunctional people live and die. It doesn’t challenge their worldview; it confirms it. When there are mass shootings, the nation’s attention becomes concentrated on the issue. National gun-control advocates come to the fore and make the case for the kind of common-sense laws that would keep more Americans safe. But most people who are shot dead do not die in mass shootings—and most children and teens who are shot dead are not that young and not that white. Indeed, most people who are killed by a gun use one to kill themselves, and many of the remaining deaths come in the form of routine interpersonal violence. So the readers of The New York Times (and The Nation, for that matter) are going to have to broaden their imaginations if they’re going to mount an effective, sustainable challenge to the gun lobby. When you take these empathetic shortcuts, a lot of people get left out along the way. Whenever the NRA meets, protesters also gather to challenge the premise underpinning this dystopian vision: that guns make us safe. They don’t. The fact remains that the more likely you are to have a gun in the house, the more likely you are to be shot dead. Every other developed country has the same problems as the United States, to a greater or lesser degree: segregation, inequality, racism, citizens with mental-health problems. The one thing they don’t have is a huge arsenal of guns to throw on that tinder. A few weeks before this particular NRA convention, then–New York Mayor Michael Bloomberg had announced that he would spend $50 million developing a grassroots network of gun-control advocates that would bring together some of the main organizations campaigning on the issue, including Mayors Against Illegal Guns and Moms Demand Action for Gun Sense in America, to form a group called Everytown for Gun Safety. The group’s press conference in Indianapolis on the day of the NRA’s convention was one of the first events it ever held. I had hoped that I might find Kenneth’s friends or relatives, galvanized by his death, among the gun-control activists gathered that day. But looking around the room at the press conference, that seemed unlikely. In a city where one in four people is an African American and more than half the homicide victims are black, there were precious few black people among the protesters—save for a handful of women at the podium, all from other cities, who had lost their sons to gun violence. Indeed, despite Indianapolis having one of the highest homicide rates of any of the cities that I covered in my new book, Another Day in the Death of America, there didn’t seem to be anyone at the press conference who was from Indianapolis and had suffered from gun violence. This emotional connection to Sandy Hook is easy to understand. The enduring image of that day—distraught children being escorted by a police officer in an orderly line, their faces contorted with panic and trauma—was searing. The sight of parents waiting anxiously to learn the fate of their kids and the pen portraits of fledgling lives so senselessly destroyed were harrowing. And yet, if this is the connection on which the gun-control movement primarily depends, it will never achieve its potential, and it will prove a poor match for the apocalyptic narrative set out by LaPierre. To dwell on the innocence of “babes” and “angels,” as many gun-control activists did after Sandy Hook, implies that there are less innocent, less angelic victims out there more deserving of their fates. The pursuit and promotion of the ideal “worthy” victim has long been a staple of social-justice campaigns. It can be effective at times, but it is always problematic. The argument’s center of gravity shifts from “This shouldn’t happen to anyone” to “This shouldn’t happen to people like this.” Sandy Hook may clarify the obscenity and the injustice of people being shot—but when you take these empathetic shortcuts, a lot of people get left out along the way. He had plans to hold a huge family-day festival for the city’s youth and was seeking funding and support from churches and local leaders, but he was frustrated by the response. “The same people who are talking about it, won’t do anything about it,” he said. “We need donations. Everything we’re doing is coming out of our pockets. So we’re at a standstill.” The group’s first community give-back day—a family event with toys for the needy and barbers providing free haircuts—was dedicated to Stanley and his mother, Toshiba, who received a candle in his honor. When I met Black a year later, at the second give-back day, he was still struggling to get the idea off the ground. That day was dedicated to Ajewan Jones, one of Stanley’s best friends, who’d been shot dead six months after him. As I write, the streets of Charlotte are full of demonstrators protesting the police shooting of Keith Scott, and right-wing commentators are asking why no one in the black community cares about “black-on-black” violence. Many of the kids who died during the 24 hours covered in my book were raised in tough circumstances and had messy lives. Moreover, communities of color are criminalized in a manner that makes “innocence” itself a notion that cannot simply be taken at face value. So long as the gun-control narrative stops with protecting innocents and babes, it’s difficult to see who will ever speak out for these kids. In the absence of that explicit solidarity, the national gun-control movement not only distances itself from the communities that would give its message and campaigns a sense of urgency, but can even appear to stand in opposition to them. When gun-control advocates emphasize the dangers of guns getting easily into the hands of “criminals”—as though the criminal-justice system is a neutral space—they move from gun control to social control: The central issue becomes not the gun, but the person wielding it. None of the family members I spoke with raised the Second Amendment one way or the other. Almost all of them believed that guns were too readily available; none believed there was anything that could be done about it. Only one mother, according to her Facebook posts, had developed any real affinity with the gun-control movement. Otherwise, it was as though each death took place in helpless, hopeless isolation—a private, discrete tragedy complete unto itself. The broader context of race and poverty was clear to many. But when I told them of other families who had lost children that day, all seemed genuinely shocked that their grief overlapped in real time with that of others. It’s as though they had lost a loved one in a war without any clear purpose, end, or enemy; a war they could do nothing about; a war that they long knew existed but from which they hoped by luck, judgment, discipline, and foresight they might be able to protect their kids; a war that is generally acknowledged in the abstract but rarely addressed in the concrete; a war that took their children but offered them no allies or community in their grief; a war they knew was taking place elsewhere, but experienced alone, as though it were happening only to them—when in fact it is happening to America. Every day. Listen to Gary Younge on the Start Making Sense podcast.